Syria: People who flee from the "most terrible" clashessteemCreated with Sketch. It is reported that the situation in the eastern Ghouta region of Syrian insurgency is heading "extremely seriously". Syrian forces have strengthened their futuristic defense, while seeing the operation back to Gautau, east of the capital, Damascus. The Syrian Observatory on Human Rights in Syria has announced that 25% of Syrian troops are controlled by the Syrian army. More than six hundred deaths have already been claimed by most of the clashes that began on February 18, most of them children. 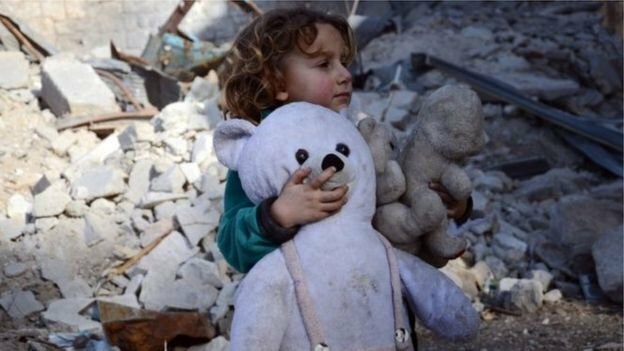 Syria's main supporter is not yet successful in any humanitarian operation carried out by Russia or the United Nations. "Civilian punishment against civilians is hardly acceptable," the United Nations said. 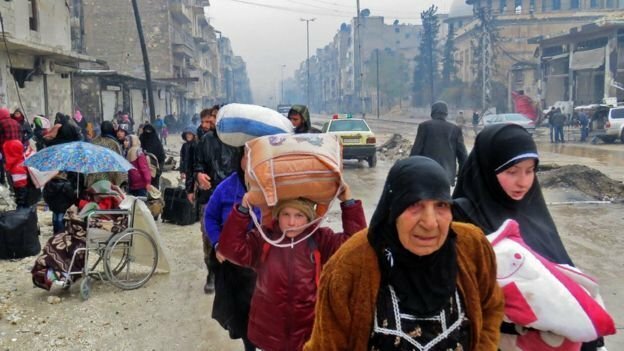 The United Nations has announced that 40 trucks carrying humanitarian aid could not be allowed to enter Damascus, Syria. There are about 393,000 civilians trapped in the area. Most of them are women and children and are said to be moving into the army controlled areas. The current situation is "extremely dangerous", a resident of Gautta East of the country told the BBC. 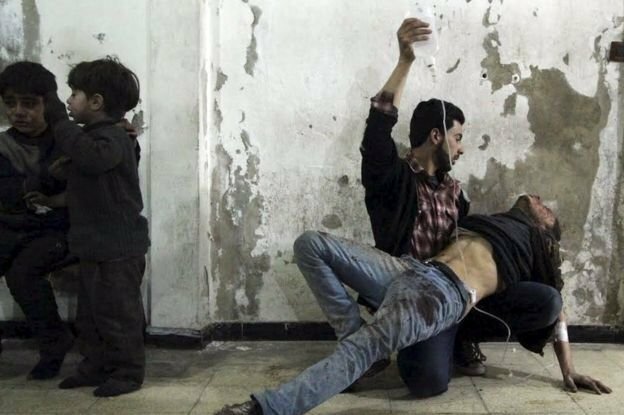 What is the purpose of the Syrian government? Some reports say that the Syrian government is seeking to divide the area. Syrian state media say that the army advanced from several fronts and took control of villages and farms in the area and attacks from the eastern region. 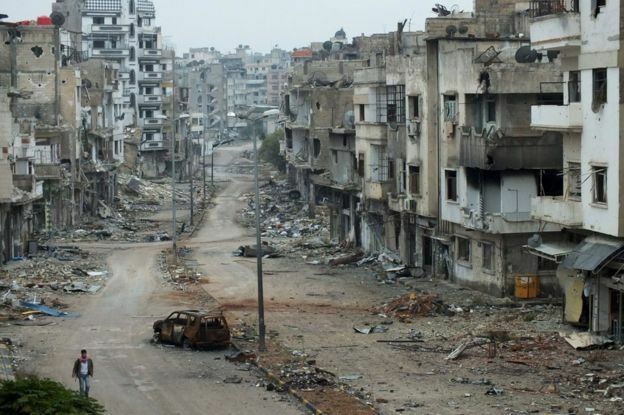 Syrian warlords say Syrian forces are at a distance of about three kilometers from Duma. 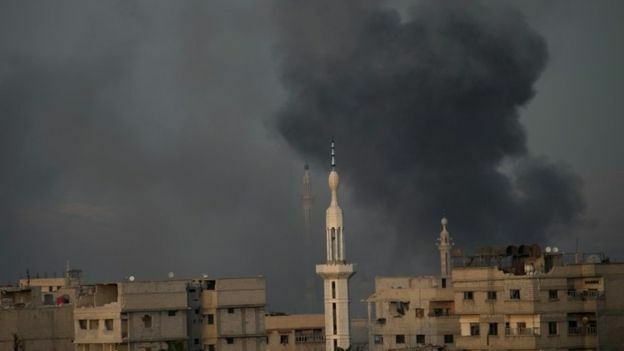 Syrian forces have been accused of launching an attack on civilians. However, in reply to the above allegations, the government says the military is engaged in a bid to liberate the rebel-held areas.